PARIS (Armenpress)–The Monitoring Committee of the Parliamentary Assembly of Council of Europe (PACE)–met in Paris on Wednesday to review a report by PACE co-rapporteurs to Armenia Jerzy Jaskiernia and Ren Andr–and approved a draft resolution on the honoring of Council of Europe (CE) obligations and commitmen’s by Armenia. Heading Armenia’s delegation at the session was Tigran Torosyan–who reported that the Monitoring Committee accepted eight key proposals by Armenia–extending Armenia’s deadline to meet its commitment to carry out constitutional reforms to June 2005. The Committee had previously set the first quarter of 2004 as the deadline for Armenian to hold a referendum on constitutional reforms. Final approval of the resolution will take place during plenary sessions of the Parliamentary Assembly in Strasbourg from January 26-30. 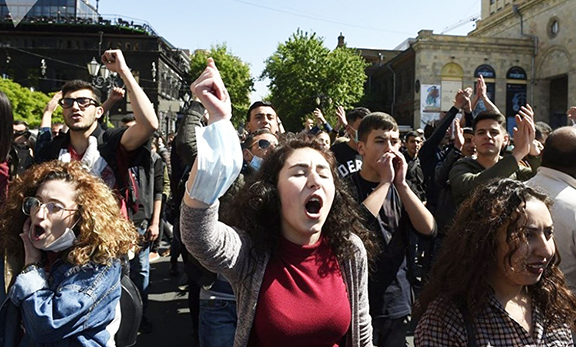 Armenia has already ratified a number of its obligations before the EU–including Protocol 6 to the European Convention on Human Rights and the Social Charter. The Monitoring Committee was scheduled to also discuss Azerbaijan’s commitmen’s before the EU–as well as the handling of Georgia’s presidential election.